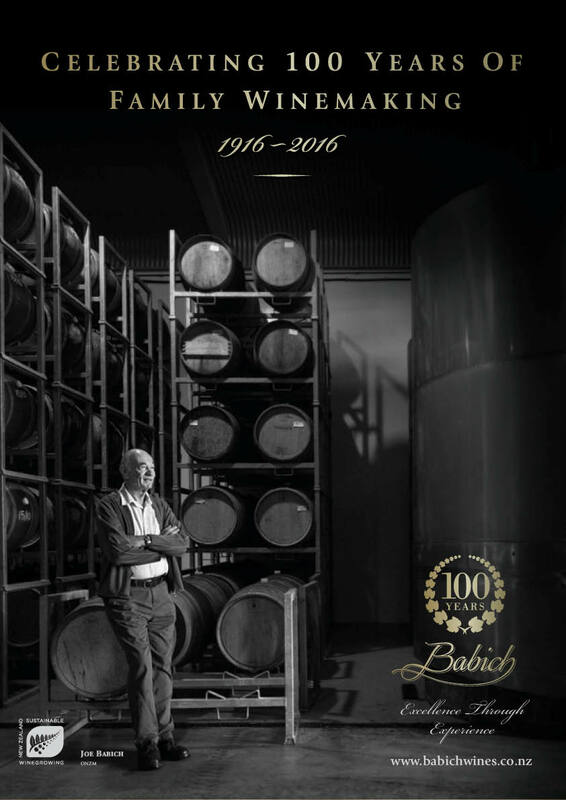 This month, Babich Wines is celebrating its 100th vintage, 99 years after the founder, Josip Babich, produced and bottled his first wine at just 20 years old. Babich Wines Managing Director, Joe Babich, expects the historic 2015 vintage to be a good one, although supply could be down across New Zealand due to the dry weather this summer. Grapes are being harvested at their Hawke’s Bay, Auckland and Marlborough vineyards, and to coincide with the delivery of their Hawke’s Bay handpicked Merlot this week (destined for their flagship ‘The Patriarch’ wine) the company will have an internal celebration to toast 100 vintages and reflect on the past. According to Joe, founder Josip was an honest businessman, whose approach to winemaking was built on integrity, hard work and delivering value to the customer. “Can you imagine today, what it would mean for a 14-year-old boy to leave his parents and join his brothers to earn a living on the other side of the world? This journey was the humble beginnings for Josip, whose honest hard work and determination set the way for generations to come,” says Joe. His traditional values still guide the business today. To top off the 100th vintage milestone, Joe and Peter Babich were both inducted into the New Zealand Wine Hall of Fame at the Royal Easter Show Wine Awards this month. This comes hot on the heels of Joe being named as an Officer of the New Zealand Order of Merit in the New Year’s Honours List. Philip Gregan, CEO of New Zealand Winegrowers, agrees that the centenary and 100th vintage are important milestones, not just for Babich but also for the New Zealand wine industry as a whole.